A review of LockChain shows this startup has an idea with some merit, but there are concerns about the founders’ sketchy history with Bitcoin7.com. Further, the LockChain.co Marketplace remains under development, with no visible prototype available, and LockChain’s decentralized booking system offers no accountability in case something goes wrong between the customer and the accommodation. Existing platforms, such as Booking.com, Airbnb.com, and Expedia.com are currently centralized and take fees from the property owner and/or the end customer. Additional middlemen are the payment processors. Conversely, all listings and arrangements on LockChain will be decentralized on the Ethereum blockchain, eliminating all middlemen and guaranteeing transparent execution. LockChain’s web and mobile platforms will present property owners with an easy-to-use interface to add and edit their listings. There will be one-click solutions for transferring current listing from other platforms. Traditional payment methods, such as credit cards and PayPal, will be supported as an option because the LockChain.co marketplace will have a built-in algorithm that will automatically convert all external currencies into the LOC utility token. Hotels will be paid in the fiat equivalent if they wish, but it will cost them a small fee, two or three percent. LockChain’s whitepaper says the LockChain.co marketplace and its decentralized LOC Ledger will be “self-sufficient,” with no fees between customer and hotel, sort of a “freemium model” with free listings on the marketplace with the potential to purchase a higher listing, to increase visibility. A single, fixed subscription fee in the $19-$99 per month range (depending on the number and size of the properties), will grant full access to a property owner who wants to promote on the LockChain marketplace. Customers will be able to browse for the best property, using both web and mobile apps. LockChain.co marketplace is expected to be user-centric. The zero commission, which by default is a feature of the decentralized LOC Ledger, will provide the lowest rates, possible only when customer and property owner deal directly, the white paper says. Current market middlemen take 10 to 25 percent of the deal. Releasing the LOC Ledger as a decentralized solution could provide the customer with cheaper travel. By integrating marketplaces such as LockChain.co, the value of the LOC token could increase and could become a catalyst for change in the industry. Nikola Alexandrov is co-founder and CEO of LockChain, and Hristo Tenchev is co-founder and COO of LockChain. Both Alexandrov and Tenchev were co-founders of Bitcoin7.com, which has a sketchy history. Bitcoin7.com was a business operating in 2011 that was once the third-largest BTC/USD exchange behind Tradehill and Mt Gox. On Oct. 5, 2011, Bitcoin7.com reported a theft of 5,000 BTC allegedly stemming from a group of Russian hackers. However, many believe the breach was an inside job and employees ran off with the funds, according to Bitcoin.com. The Bitcoin7.com domain name was later sold for $10,000 USD in 2013, but is not running now and is for sale by Go Daddy. A similar site, Bitcoin7.net is a scam, saying “We provide the fastest bitcoin doubler. We need just 4 hours to multiply your bitcoins 40x. All you need is just to send us your bitcoins, and wait 4 hours to receive the doubled bitcoins back to your address! Guaranteed!” A text agent identified as “Nevena” of LockChain said the founders are not associated with Bitcoin7.net. The token price is 750 LOC per ETH. LockChain says it has received 7,816 ETH / 3160 Transfers with a target of 20,000 ETH and a hard cap of 32,000 ETH. Of that, 50 percent will be sold to the public; 25 percent will be retained for team, advisors, community, early backers, with one-year vesting; 25 percent will be reserved for future development with one-year vesting. 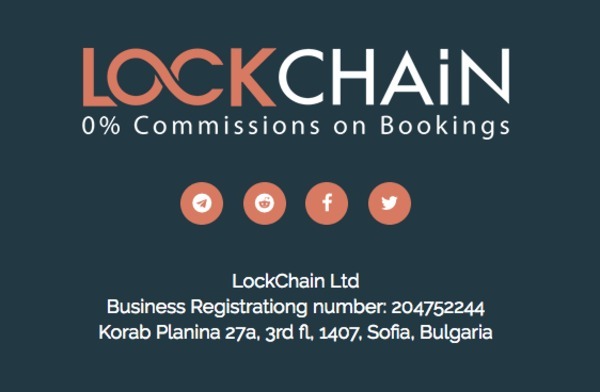 The LockChain whitepaper says buyers of LOC get full-service abilities of its decentralized booking marketplace to book hotel and accommodation stays, property rentals, and associated services. The landlord or hotelier accepts this form of crypto-currency and can withdraw it from the LockChain.co marketplace or any other marketplace which is integrated with the decentralized LOC Ledger. LockChain’s whitepaper says the LOC tokens are ERC20 tokens. These tokens “are not intended to constitute securities in any jurisdiction.” According to the whitepaper, a citizen, resident, or green card holder of the United States of America or a citizen or resident of the Republic of Singapore are not eligible to purchase any LOC tokens in the LockChain Initial Token Sale. The White Paper says LockChain’s Smart Contract can publicly be verified at the following address: https://etherscan.io/token/0x5e3346444010135322268a4630d2ed5f8d09446c. LockChain’s Twitter account has multiple postings promoting its ICO. One post said LockChain was disabling its bank wire payment option on November 26. On November 22, the group said it had surpassed 7,000 ETH. LockChain’s founders should have developed a beta site before launching its ICO. Professional investors are unlikely to invest in blue sky only; they prefer to see something operational or least a prototype. LockChain’s white paper says the LOC Ledger Alpha Version was supposed to launch in November with 300 pilot properties. The LOC Ledger Beta Version with 7,000+ properties is scheduled to launch in Q1 2018. In the hospitality sector, it is critical to work with multiple partners to aggregate and scale up. Users likely will not use a website merely because it advertises no fee or no commission. Consumers usually like to see multiple options with reviews by previous customers. Some customers are willing to pay a premium for the assurance they are going to have a safe and clean place to stay. As of this writing, there is no feedback system to see whether customers have had a good experience at LockChain properties. Decentralization in the hospitality sector may be good for pricing but not necessarily for accountability. It could be hard for LockChain to compete with travel and accommodation websites like Airbnb.com and Expedia.com. The LockChain name implies a security system, not a lodging site, so this misleading name could make it even harder for everyday travelers to find it on the web. 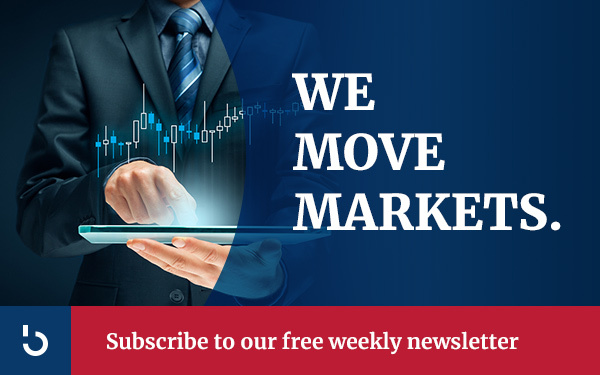 Sign up for free email updates on Lockchain here.